The key to maximizing positive reviews is to create a delightful guest experience at every touch point – i.e. for every interaction the guest has with your hotel, which means every department in your hotel has to work towards achieving this goal, from the hotel front desk to the housekeeping staff. The ultimate objective is to create guest advocates or evangelists. These guests are the ones who are so satisfied with your services that they become increasingly loyal. Not only will this increase the guest’s lifetime value and your overall retention rates, it will also play a role in generating positive reviews as these guests recommend your hotel to their friends, family and acquaintances. To build a guest-centric culture, you must define the guest. Every aspect must be clear, from how you want your guests to feel when they interact with the staff at the front desk to how you want them to react when they first see their room. 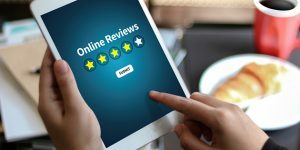 You can also take your staff through some examples of positive reviews on TripAdvisor or other review sites so that they know how these seemingly small initiatives can have a direct impact on generating positive feedback. Every employee must know and understand your mission, which is the next step. Don’t limit them just to the areas that concern them. Make sure everyone in your hotel, whether or not you think they are directly related to the guest experience, is clear about your vision. This is regardless of them being in the guest facing unit or the back-end unit like the kitchen staff who could probably translate this into a delightful meal experience for the guest. The next step is to train your employees so they are able to deliver, otherwise your manifesto will remain nothing more than words. Training and retraining is the key to ensure that the execution of your vision is flawless. For your customer-centric culture to be truly adopted and internalized by your employees, you need to follow suit. Leaders should lead by example and encourage those who defend your new culture. Make sure your employees know it’s alright to make mistakes but encourage those who are proactive and correct their colleagues. To make sure that review generation is an ongoing activity and not just a one-off initiative, you need to keep motivating your staff with incentives and driving them to perform. Regularly grade employees based on the number of positive reviews they have been responsible for and recognize their good work. Since reviews will become your biggest business endorsements, you can even consider using your marketing budgets to offer incentives. It will let your employees know of the importance reviews assume in your business. 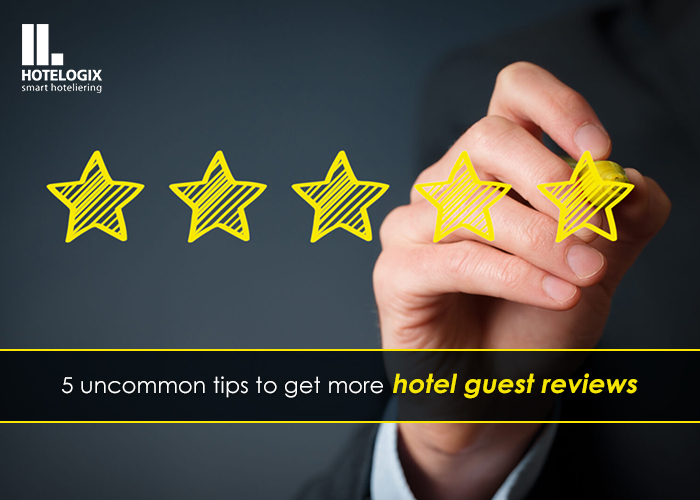 One of the easiest ways to increase the number of positive reviews for your hotel is to ask delighted guests for them. Once you’ve created a guest-centric culture in your hotel, you’ve empowered your employees to go the extra mile for your guests, but also put them in a position in which they can confidently ask for reviews. Delighted guests will be more than happy to share their experience, especially if they receive a personal message from the staff who went above and beyond for them. Consider adopting innovative practices to encourage staff to ask the guests for reviews. For instance, the staff can video record happy guests’ feedback or ask them to pose for a ‘Guest of the Month’ selfie. Your hotel’s staff is essential to generating more positive reviews because they are the ones who are responsible for the guest’s experience. If a guest enjoys a delightful stay in your hotel, where the staff has exceeded their expectations, they are more likely to leave a positive review. And the most effective way to achieve such a delightful experience for your guest is to create a guest-centric culture where employees want to go the extra mile for the guest, thereby creating an emotional connection that can be capitalized upon to gain more reviews. "Getting Your Hotel Staff to Work for Reviews", 5 out of 5 based on 2 ratings.